When you fill your home with lovely decorations does it give you the urge to redecorate in the new year. We moved to Derbyshire a almost two years ago now and are only just getting our stamp on the house. Some changes can be small but you can also make a major change that will make your house more workable for you and just have something extra special about it. When you're a home owner a whole new world of home improvements opens up as when you rent you can be so restricted in what you can do with a property and lets face it why would you pay out a lot of money when the landlord could then just sell it on. So you're looking to buy or ready to do some work on your existing property I have some tips for you! Consider upgrading your heating system with a new energy saving boiler. Combi boiler prices start at around £1700 and it can add thousands to your property. Old boilers are very inefficient and the Energy Saving Trust estimates a new boiler can save you around £348 per year, so well worth the initial outlay. Consider adding thermostatic radiator valves to your radiators if you don't already have them. They don't cost a lot but they do save you a few pounds a year. Changing your windows or doors can have a great impact not just aesthetically but also on the amount of heat that is retained in your home. 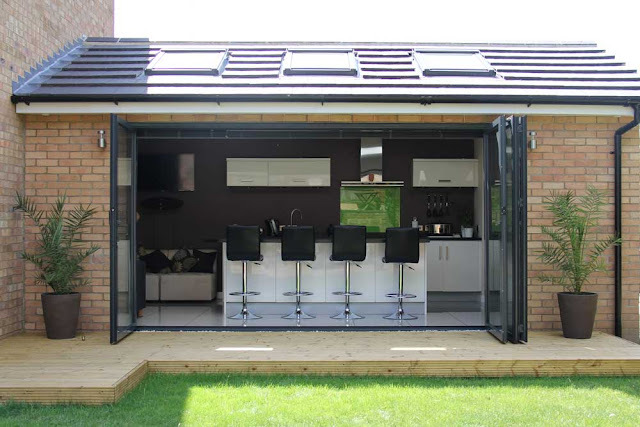 Ensuring good quality double glazing is throughout the house can help save a fortune on heating bills in the winter and if you have a beautiful garden you want to enjoy more in the summer try adding in some bi-fold doors. They give you lots of window space to enjoy the garden and then in the summer open right up to make the space seamless. Great for entertaining or families. Add more lighting around dark spaces as this can help dramatically increase your mood. If the space is small and you don't want to add in bigger windows try adding in a light box. They can create an almost natural light which will help dramatically and lightening up any space helps it feel bigger. Rooms that can usually benefit from these are kitchens, bedrooms and bathrooms. If the spaces seem smaller still then consider speaking to a contractor about either adding in space or remodelling the space you currently have. We have a small kitchen and then next to that is a dining room but taking a wall out and opening up that space would create a much more functional space. 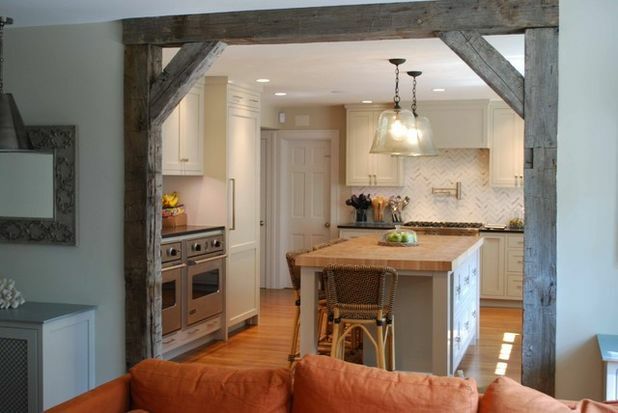 Always consult a professional as remember walls were made with holding foundations in place and a builder can help you work out how to get the best of both with the use of an arch way instead of taking down whole walls or pillars to ensure the upstairs of your property is protected and secure. Do you have any Home improvement tips?